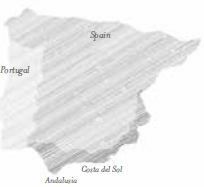 Southern Spain is Andalusia, the land of flamenco, bull-fighting, Moorish and Mozarabic architecture and fabulous food. The capital is the famous city of Seville, Spain’s third largest, renowned for its incomparable ambience and its distinctive buildings, which include the Arabian bell-tower and the monumental Torre del Oro. with good skiing. The Guadalquivir River runs through. Andalusia is sunny for most of the year and rainfall is low. 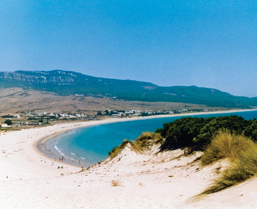 The region has the highest concentration of attractive cities in the whole of Spain. Besides Seville, there is Granada, at the foot of the snowy mountains of the Sierra Nevada, with its spectacular palace of Alhambra. Cordoba is equally beautiful, with its astonishing Great Mosque. Cadiz is one of the oldest cities in Spain, and was founded by Phoenician traders. 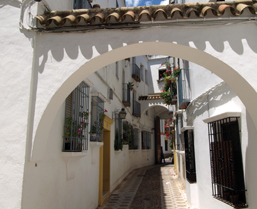 It is famed for its traditional Andalusian whitewashed houses. In Huelva, you’ll find the port of Palos de la Frontera, from where Christopher Columbus made his historical voyage of discovery to the New World on the other side of the Atlantic. And those who love sherry will be delighted with Jerez de la Frontera, the world capital of sherry, where the drink is made.